Would you call out roadside recovery if you ran out of petrol? Of course not. It would take ages and wouldn't solve the problem anyway. Yet every day hundreds of men make the same bad call when it comes to their own health by turning up at hospitals' Accident and Emergency or Casualty departments for totally the wrong reason. Don't. If you know how the NHS works, you'll get what you need more easily and more quickly. Only go to Casualty, if you're bleeding, think you have broken something or are in severe pain otherwise you're wasting everyone's time including your own. Some people think that by ringing for an ambulance they will be seen as a priority at Casualty. Wrong. All new arrivals are assessed by a triage nurse who ensures that patients are seen in order of seriousness. Calling an ambulance when you don't need one will only annoy the very people you want to help you, the doctors and nurses, and may deny an ambulance to someone in a genuine life or death emergency. TV programmes like ER can give the impression that A&E doctors are the best in their profession. Not true. They are experts in accidents but when it comes to say, detecting a lump that could be cancerous, your GP is a much better bet. Look at it this way: your local panel beater may have made your dented front wing as good as new but you still wouldn't ask them to tune your engine. If you have something that you're not sure about such as a pain or a lump or a cold, sore throat or stomach upset that won't clear up, make an appointment to see your GP. It makes sense to do this because, first, if it is serious, only your GP can refer you to a specialist such as a hospital consultant, physiotherapist or chiropractor and, second, the pharmacist can only give you drugs for more serious conditions if you have a prescription from your GP. If you have to wait for an appointment, you can call NHS Direct or try a walk-in centre in the meantime. Don't ask your GP for a home visit, by the way, unless you really are unable to move from the house. Nine times out of ten, you will have to wait longer than you will for a surgery appointment. You can see your GP about absolutely anything at all and that includes sexually transmitted diseases. There's no need to go a special clinic although you could go to one - or to a walk-in centre - if you'd prefer to see someone you don't know. And don't forget that your GP is probably not the only health expert at your GP surgery. The practice nurse, for example, can sort out holiday jabs, blood tests or other routine matters often without an appointment. 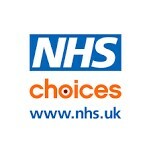 They can also advise you on how to use the medicines your doctor has prescribed. Some GPs surgeries also have physiotherapists, counsellors and other specialists on site to the GP can refer you. Some may even have a specialist Well-Man clinic. These are a kind of half-way house between your GP and NHS Direct. Compared to your GP, you may find their location - usually in the middle of bigger towns and cities - and opening hours - usually 7am and 10pm - more convenient. You can pop in easily while you're out and about, generally without an appointment. They also won't know you which you might prefer in some cases - although without your medical history, they might be less able to make a prompt diagnosis. For information on the pros and cons of commercial Well-Man clinics where you pay for a health check, click here. They are usually the quickest route to getting test results. In some cases clinics will be able to find out if you have an infection and give you the right medicine there and then, and it's all FREE! Your local clinic may run an appointment system or you may be able to drop in to an open session. Phone first to find out what system is operated at your clinic. To find out where your local GUM clinic is, click here and simply enter your town, city or London borough in the box. If you would like to speak to someone about your concerns or would like to find out where your local clinic is by phone, contact FPA, the sexual health and contraception help line, on 0845 310 1334.